Additional Info: Combination microwave and full gas cooker. Fridge and 3 draw freezer. Double bedroom is on suite to a sink and toilet. Which is private from rest of the rooms. Gas BBQ and Ratten table & chairs on veranda. Which needs to be taken care of and washed when it’s used for the next person ???? There will be a deposit of £100 booking fee per week payable once booked .Which is non refundable, should you cancel. All will be sent confirmation details by email or post to you. The remaining balance is to be paid 1 month before your stay in full. Can enter at 2pm Saturday the 1st day of your stay & Vacate by 10 AM day of departure, our cleaner will not return if you are not out, this will also hold up the next in.. If you wish to re book the same week for the following year we will hold the same prices for you. Thank you. Please submit numbers and names staying in van when booking. We can supply your covers for bedding provided and will cost an additional £40 for the amount (8) of people staying.Just to save you space and time of washing. You still need your towels and tea clothes etc. Any damages will be paid for by you. If it is a small item glass or bowl, please pick a spare up to replace from Morrisons or Asda. So the inventory is the same for the next party. If you require a short break we can do those for your in quiet periods of 3 or 4 day breaks etc. 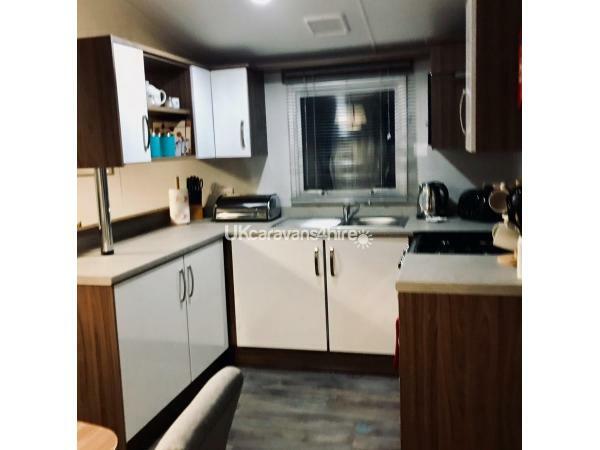 We have a 2019 Willerby Avonmore, 8 berth caravan for hire. 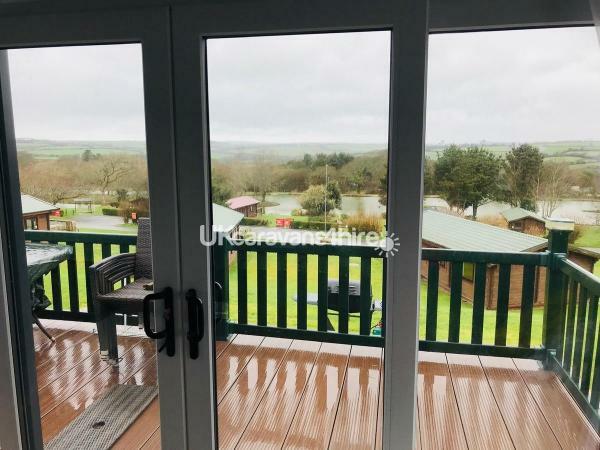 The caravan is located at the Park Resorts Holiday Park, Chest Nut Forest in White Acres, which is located on the main road into Newquay and is just 6 miles from the city centre. 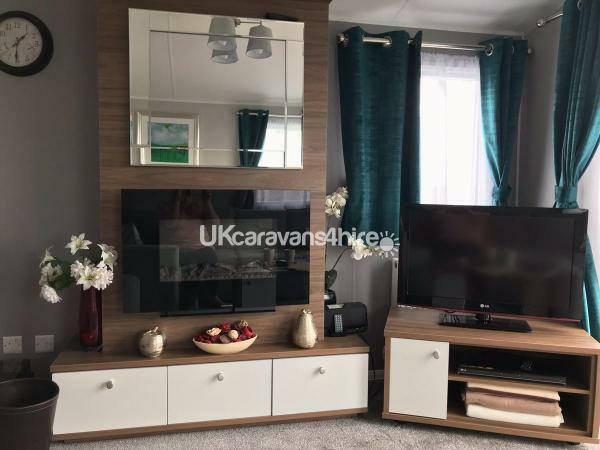 The caravan is fully central heated and has double glazed windows so you can forget about any previous experiences of cold caravans, Also has Patio doors to the veranda area. 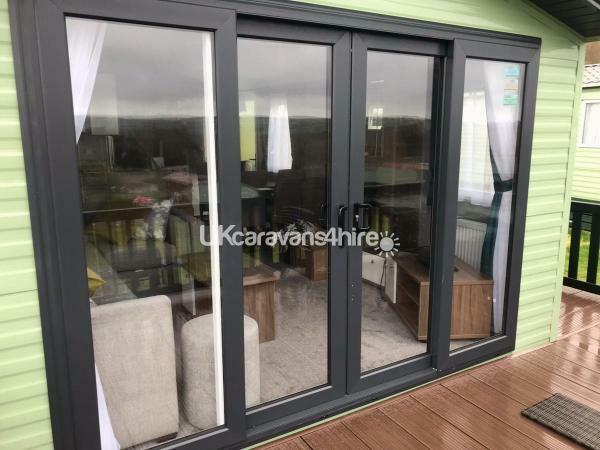 It has a veranda added to the van and with this the caravan has lots more advantages as it can provide an area to sit outside looking at the lovely Cornish landscape while having a cuppa, or you could even invite some friends round for a bite to eat and to even watch the stars later at night. We also have a gas BBQ for your use, but please clean afterwards, please refill gas when needed as well. but we start the season witha a big knew one. Hairdresser & Beauty treatments, in the house across the lane. There is also a gate on the veranda so that children are safe to run around outside with the door open. Outside the caravan you have 2 secure tackle/storage lockers in which you may keep any of your personal outdoor equipment, i.e. beach equipment or your fishing gear. In the lounge you will find a 32" LCD TV with Freeview, which has a USB for streaming films and music. Also a HD DVD player and an electric fireplace. In the kitchen there is a gas oven, a full size built-in fridge and separate full size freezer, a microwave, toaster and other essential kitchen equipment. A hairdryer is also provided. The caravan sleeps 8 people. 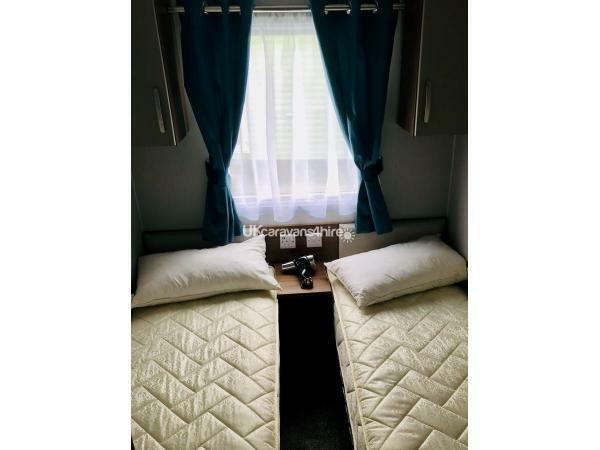 It has 3 bedrooms, 1 room with a double bed and 2 rooms each with 2 single beds, which can be pushed together to form a double bed. There is also a pull-out double bed in the lounge. Duvets and pillows (feather down) are provided. Should you require sheets, duvet covers and pillow slips there will be an extra cost of £30 for the required numbers of people staying. All we ask is that you respect our caravan as you would your own home. If any breakages happen, please tell us and we can replace for the next party to go in. 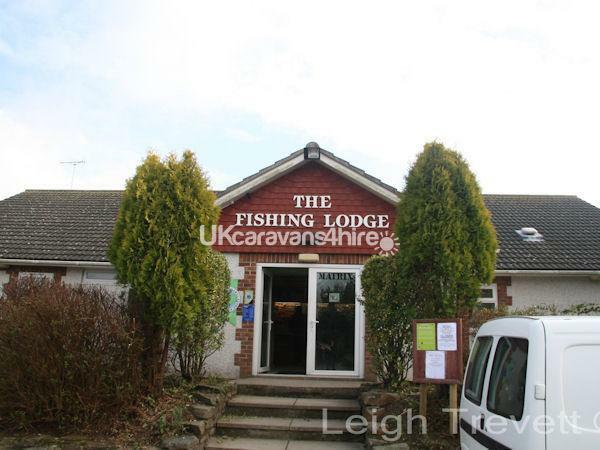 White Acres Holiday Park is a 4* caravan site that features 13 course fishing lakes and tackle shop, adventure play areas and agility courses, 9 hole crazy golf course, arranged sports and activities with an entertainments team, and nature trails. Entertainment passes are available from the Park's Reception at £12 per week peak times and £10 off peak, per person, per stay. Children under 2 years of age are free. Up in the main clubhouse on White Acres Holiday Park throughout the day the facilities in the building have a small pay as you go tenpin bowling and ice hockey, darts, pool and snooker, an arcade with money machines, dance machines and motor car/bike simulators, also an indoor pool next to the clubhouse. While the children are being entertained at the kid club you can enjoy a bit of 'me' time at the solarium where facials and massages can be done too. Children's entertainment starts at 19.00 pm. There is bingo for the adults before the evening entertainment begins, with shows on every night. 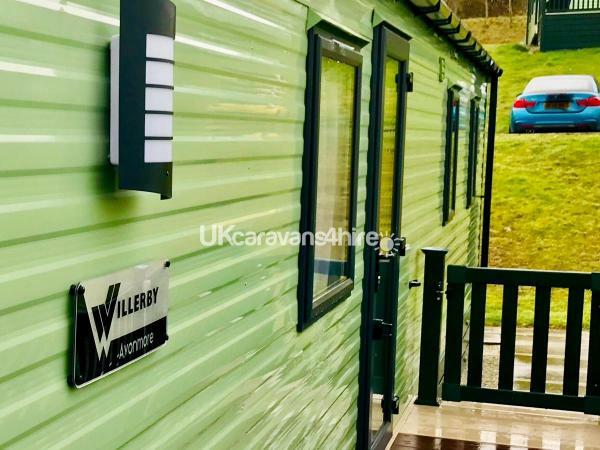 White Acres Holiday Park also has a takeaway on site and a shop which sells a few everyday essential items, a coffee and indoor seating area, and a lodge with indoor younger children's ball pits and climbing apparatus. Mums and dads can sit comfortably and watch in this very friendly area. Newquay centre is just a few miles away from White Acres Holiday Park by car. There is also a local bus stop just outside on the main road which will take you there. Newquay has a lovely shopping centre and large green area by the bus station. Newquay is also home to Fistral beach and many other beaches for surfing and body boarding. Good surfing is also available in Perranporth, and Crantock beach is only 4 miles away, which is a nice, secluded, English Heritage site. At Trenance there is a zoo, trains rides, tennis, swimming pool and coffee area. There is also a boating lake with pedalos, a nature walk trail and horse riding stables.at the roundabout. There is large Morrison s just down the road, and good pubs serving food at the Quintrell inn & The Clones, which are very close to the caravan site. There is also a fish & chip shop & Chinese in St Columbo Major, which is in the good food guide. In the caravan we have put together a folder which provides leaflets for local attractions and places to go while you are on your stay. They include play areas to see and do with children, Daisy Land, Shire Centre, Flambards, Holly Well Bay, Ben's World & Open Market in St. Austell. Theresa was brilliant as a host. Brand New Van and very Luxurious. Combination microwave, no need for a gas cooker. Washing machine as well as a large fridge and 3 draw freezer. Weather not that brilliant but very comfortable and the club house has entertainments and Bingo. Will be back later in the year. Thought we needed time away from the children. Husband and my self, had this delightful caravan to our selves for the week. Very good service booking in and we had the bedding pack. £10 for all covers and that saved me the washing if it when I got home. The washing room was not busy either & did our wash on the Friday for around £3.50 . BBQ on the veranda which was knew this year and was a real treat. The weather was glorious and I sst and read books and sunbathed in privacy with such beautiful views. Husband trotted off to the lakes and we went out in the evening. Entertainment & Park was very pleasant. Theresa our host was super and made everything transitional for us. We will be back next year. Just beautiful holiday we have had in years. Thank you for making it perfect for us. Thank you for your comments. Hope to see you maybe next year. We stayed in this caravan, with the thoughts of using the BBQ and the views, that were described. I can actually say, the views were brilliant, I could see planes coming in accross the horizon with my binoculars, from the Veranda. I asked my grandchildren to pop down for a week and they thoroughly enjoyed the enterntainments and the fredom that they had on the park was fantastic. We are booking for next year again but in the July. August was very busy on site and we wanted quite for ourselves really. fantastic Service by Theresa & Debs the cleaning lady. Exemplary service by them on the booking and instructions, were so accurate. Great news. Please tell your friends about our home. We were unable to get to the van on the Sat, So Theresa did knock a night of us to pay. We had 3 younger children. they had the most fantastic time, as all the facilities on site kept them entertained. We gave then every evening a Â£1 of coins in a container after the children s entertainment, so that they could still have fun while we played the bingo. the club was ok, but music to loud and not clear at times.The children enjoyed their entertainment and we thoroughly enjoyed our time after coming home and sitting on the veranda with the HIFI on in doors. I stayed here with my older boys and spent our time fishing. The caravan was like home, we even had a basket to put the washing in and pegs to hang it out on the veranda.The wife went to the club house and the pool and joined in the entertainments for the ladies during the day. we went to local pubs for food and we also went to the restaurant on site. this was lovely and very reasonably priced as well. Theresa was an excellent hostess and we have booked again in the August, this year. That `s a lovely comment and thank you very much. hope to see you next year maybe.